The responsibility of building your dream home does not end with the completion of its construction. Once you start staying in it, your duty even more increases as your house needs to be regularly maintained so that its life can be maximized. Being a layman, everything in the house might seem perfect apparently, as it is difficult to gauge the damages deep inside, but there might be some unseen damages that have already crept in without giving any visible symptoms. Your eyes may have ignored some signs without understanding their implications. Are you worried about finding a solution to these hidden facts? Well, as a concerned homeowner, you ought to be. 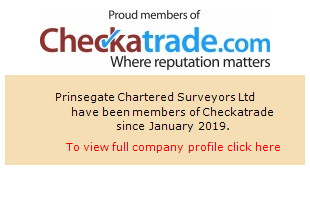 The only way to enhance the life of your house or to rectify the hidden damages is to go for regular building inspections carried out by a chartered surveyor. One may argue, what is the need for engaging a building inspector when everything looks fine? Well, a good-looking apple sometimes turns out tobe rotten inside. So, let’s see how important it is. How often should you get inspections and surveys? The frequency of the building inspection depends upon the area covered and the activities done there. For commercial buildings, this inspection may be carried out once in a year, and for residential buildings, it should be done at least twice a year. Since it is your lifetime investment, it can give you good returns at the time of reselling. However, in many states, it is the government that has laid out the rules and regulations for the frequency of inspection, and one should follow them strictly so that the corporations raise no objections. After all, the government had made the laws to secure your house and life only, and not for any other benefits. What will a surveyor look for? Moisture Detection – You all know that water isone of the primary sources of damage in a building. The chartered surveyor will detect moisture that has seeped in the building envelopes. It is one of the mostsignificant problems, as moisture enters through the cracks on the wall andgradually weakens the structure. Roof Leakages – Your house may be leakingwater through the roof or might be on the verge of leaking. If the roof is flatand is made up of RCC, then there is a chance of leakage after some years. The buildinginspector will inspect the roof, find out the condition of it and recommend thebest possible solution. Basement Inspection – This is one of the most neglected areas of the house and is considered as the junkyard. However, the basement area has great importance, as the foundation rests right below it. Basement leaks and termite attacks weaken the foundation to a great extent and can only be discovered if the building inspection team is appointed. Window, HVAC, Skylight Inspection – All these areas are inspected by the professional team, and if they find any problems in them, they give immediate rectification suggestions. It is always better to go for regularbuilding inspection and stay assured about the excellent condition of your building. Equally, if you’re buying a new property, it may be worth hiring your own surveyor to carry out a full structural building survey to see the condition of the property in the resulting report.